General Hospital (GH) spoilers tease that Franco (Roger Howarth) will become part of a shocking plot. Ryan (Jon Lindstrom) knew exactly what he was doing when he gave Ava (Maura West) those sleeping pill samples. 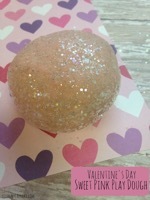 He had that evil glint in his eye! Ryan was undoubtedly counting on Ava to tap into her vengeful side again and take the next logical step – drugging Sasha (Sofia Mattsson). Ava went for it, but that’s only phase one. This will actually be a very elaborate setup, so she’ll need some assistance to pull it off. That’s where Franco will come in. Ava will pay him a visit and suggest that Kiki’s finally getting what’s coming to her. She’ll contend that Griffin (Matt Cohen) is cheating behind Kiki’s back and with her new “sister,” no less. Franco will wonder if Ava really has all the facts, but she’ll insist it’s true. She’ll act like she’s satisfied since she’s been predicting this would happen. Next, Franco will corner Kiki and reveal what he knows. General Hospital spoilers say Kiki will think about the sparks she’s witnessed – at least on Sasha’s part. She’ll start to see things that weren’t there on Griffin’s part, too. By the time Kiki decides to confront Sasha, Ava will have taken another step toward vengeance. She’ll drug Griffin and manage to get him in bed with Kiki. At that point, the trap will be set. GH fans can expect Ava to sit back and wait on the explosion! 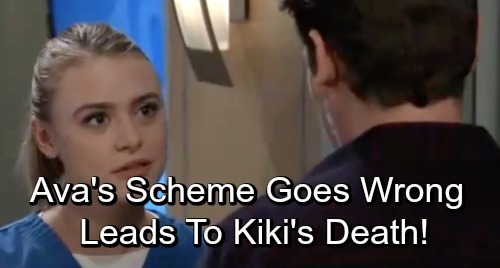 General Hospital spoilers say Kiki will make a crushing discovery. She’ll find the cheating scene Ava left for her and assume Franco was right. Sasha and Griffin are sure to be confused when they awaken. As for Kiki, she probably won’t buy their excuses. Kiki may be too riled up to listen to any explanations Griffin might offer. She doesn’t Sasha anyway, so she won’t believe a word out of her mouth. Alas, this situation will conclude with disaster. “Ava’s plan has explosive results for many people,” Altman said. General Hospital spoilers suggest that Ava’s plan could backfire big time. Kiki may turn against her even more instead of seeking consolation. That could drive Ryan to seek a different kind of revenge on Ava’s behalf – the deadly kind! General Hospital spoilers say Griffin will get horrible news on November 29. Could that be about an attack on Kiki? Will Ryan make Kiki his victim by then? It’s certainly possible at the rate this story’s going! We’ll give you updates as other GH details emerge. Stay tuned to the ABC soap and don’t forget to check CDL often for the latest General Hospital spoilers, updates and news.